What do you expect from a car in 25 years' time? 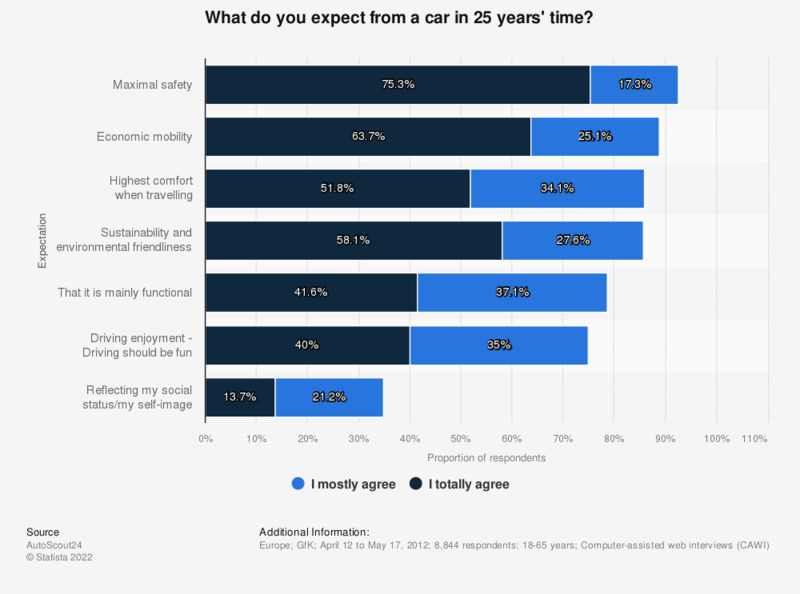 The statistic shows people's expectations of cars in the future. 75.3 percent of respondents totally agree that cars of the future should be as save as possible. The source does not provide information regarding the possibility of multiple answers. What comforts must the car of the future have? Vehicle design of future cars - what form should it take?